Everyone is born creative, it is the environment that decides whether the creativity stays or goes. For a child that is sensitive with a strong creative bent, the environment needs to be nurturing not only for the body but for the soul too. There is a certain amount of thought that needs to be put into the way one talks with children about their creative work. Spare a thought – the young one in the house has put his whole soul and loads of efforts to create a work of art. A general or common phrase of praise can convey disinterest and end up discouraging the child. However, a detailed critical analysis highlighting the weak points can damage their self-esteem and undermine them. Encourage the child to talk about what they think they are good at and where do they want to work on. Once the child identifies the problem area, offer your help and respect it if they say ‘no’. It is only when the child feels ready to help that you should extend it. Control the urge to control – the children at times follow and show a talent in the interests and activities that the parents excel in. This might lead to an urge to ‘help’ the children out with the parents’ experience and abilities. It is important, however to not let this urge to help or guide your child become so strong that you take over the entire thing. Allow them the space that they need to explore and discover on their own. Encourage conversations – it is important to get beyond a simple yes, no or nod of head. While talking about the child’s artwork a parents needs to try and ask as many open ended question answers as possible. This encourages the young artists to develop a better articulation and sharpens up their artistic philosophy & practices. Talking about what the children create helps them develop a strong sense of self reflection and awareness. Teach & Learn – an important tool of learning is to teach what you have been learning or intend to learn. Encourage the young ones to teach you the concepts of art that they have learnt or experienced while creating the work of art. It is through these teaching experiences that the child is bound to go through a sound and solid learning phase. The children are sure to love this opportunity to teach something they know or have experienced to adults. It is the process that counts – an artistic process is to be enjoyed, experienced and learned from. The children especially tend to enjoy the process more than the outcome. Any kind of creative pursuit, especially the arts requires the artists to practice alliances, conciliation and immense perseverance. For children this presents an opportunity for learning and all-round personality development. While the child is in the process of creation, it is important to encourage them to create, revise, polish and persevere – qualities that are proven to be useful in all spheres of life. Appreciate the effort – every artistic endeavor may not yield immediate perfect or even good results. It is, however the effort that goes into it which is truly to be commended. In arts especially, apart from the creative bent, there is a certain set of technical skills that need to be developed and enhanced. There are those that are artistically gifted and those that are not. Those that are not gifted but have a keen interest can make up for it with the right education and whole lot of practice. Shining stars – if the child chooses to showcase or flaunt their work, encourage them. Being the first and most unabashed audience to your children’s work also gives you the responsibility to encourage them to maintain some form of a digital catalogue, inducing in them an evolved sense of worth and pride. 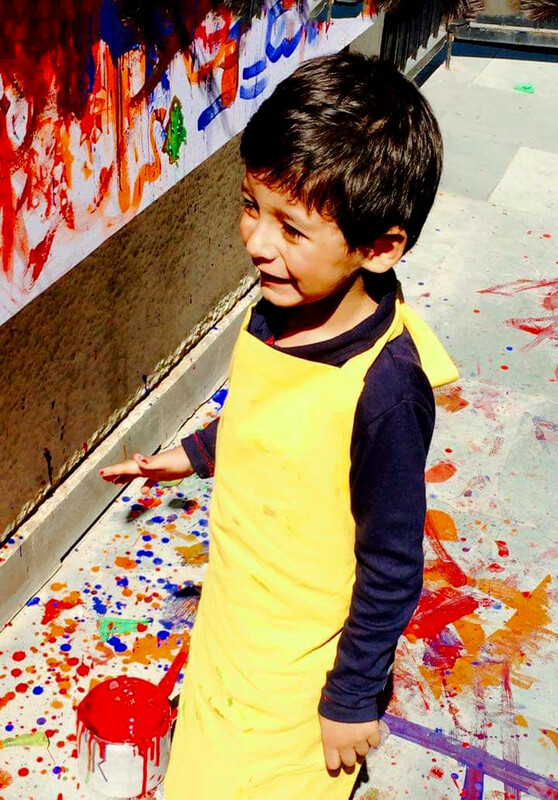 Whether or not the artistic inclination is meant to convert to a career path, the support and encouragement from parents is instrumental in the viewpoint a child develops for his own artistic works.